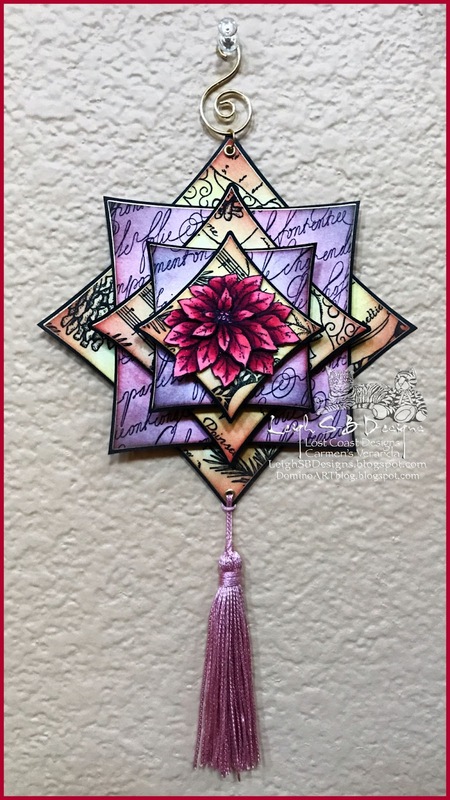 Velvet Paw Creations: "Layered Poinsettia" Hanging Ornament for Lost Coast Designs/Carmen's Veranda DT! 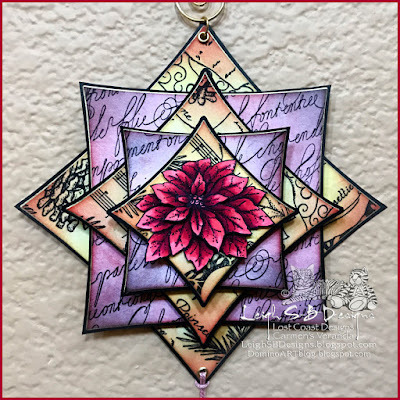 "Layered Poinsettia" Hanging Ornament for Lost Coast Designs/Carmen's Veranda DT! 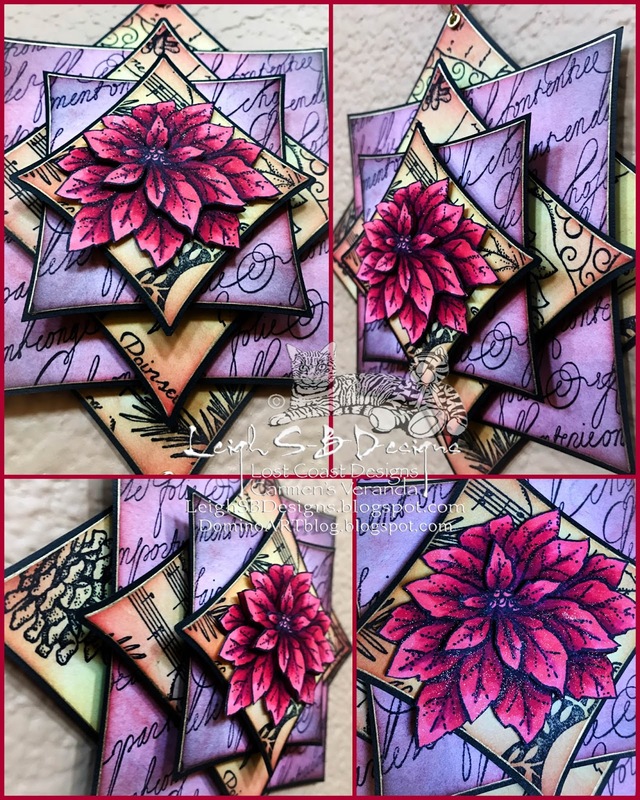 I'm kicking off the celebrations today with two projects, see my first project HERE and now here's my 2nd! This one involves lots of die cutting with nesting Lifestyle Crafts Quickutz inverted squares dies, stamping with black Versafine ink and a combination of Memento and Distress Inks. The panels are edged in metallic gold for a touch of elegance and matted on die cut black cardstock. 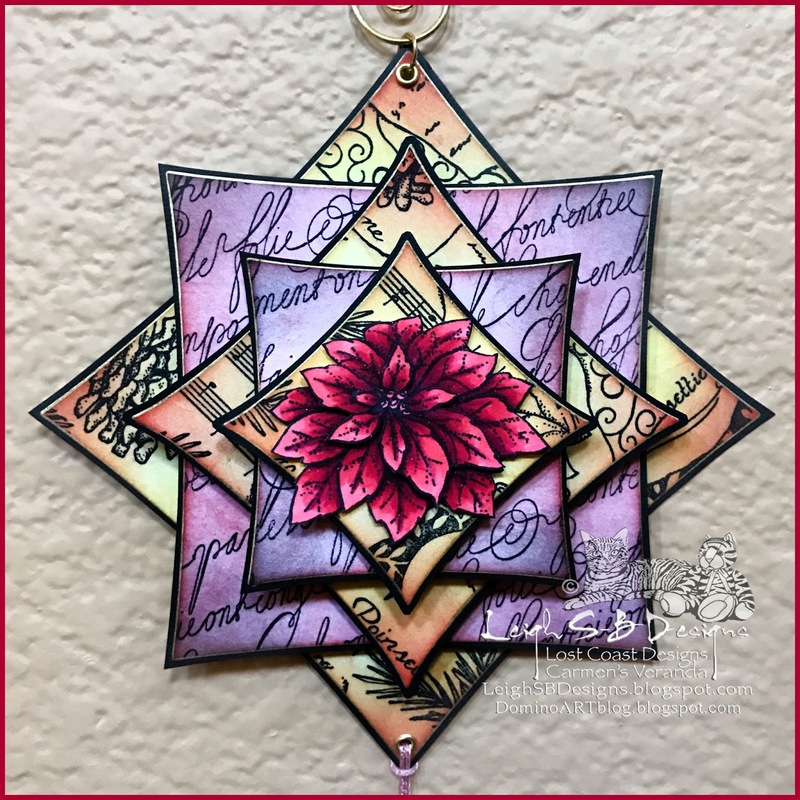 The poinsettia is coloured with Copics, consists of fussy cut layers with a touch of clear Wink of Stella for some Christmas magic. I added gold eyelets and embellished with a pink tassel and a gold swirl hanger. "Meowy Christmas" card for The East Wind DT!